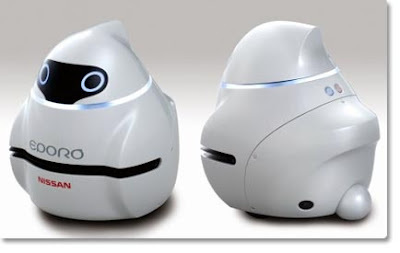 Among the growth of technology that has tuned to an extent where robots and embedded system plays prominent role in their respective departments, Nissan announced that it has developed robots that are able to move in a group without colliding into each other. Much like a school of fish, the so-called Eporo can also avoid obstacles standing in their way safely. Nissan claims this is the first time the world sees robots that are able to show group behavior. The company aims at employing the underlying technology in their future vehicles and not commercialize the robots, the process theme would helpful to avoid collisions by the communication between each vehicle and also that technology could reduce the number of traffic congestions in the future. Generically, fish recognize the surroundings based on lateral-line sense and sense of sight and form schools based on three behavior rules. A laser range finder 4 is used for lateral-line sense, while UWB 5 communications technology is utilized for the sense of sight. Change traveling direction without colliding with other fish. Travel side-by-side with other fish while keeping a certain distance between each fish (to match the speed). 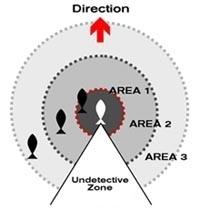 Gain closer proximity to other fish that are at a distance from them. On a whole it makes us to think how come these fishes judges and perform Collision-free swim (drive).